A newcomers guide to starting a career in the Canadian Environmental sector. This webinar will highlight some of the challenges facing newcomers and share the experiences of Hari Pemmaraju, a Canadian Permanent Resident who has successfully started a new life and career in Canada’s environmental sector. 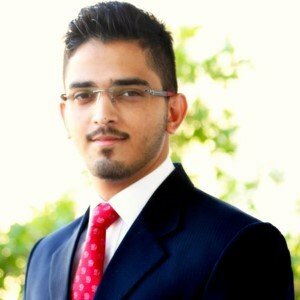 Expanding on his recent interview, Hari will share his experiences and highlight techniques, strategies and resources that helped his job search in Canada, such as ECO Canada’s Environmental Immigrant Bridging Program. This session is scheduled for Wednesday, May 1, at 11:00am (MT) and suitable for anyone who is new to Canada and interested in a career in the Canadian environmental sector. The Environmental Immigrant Bridging Program project is funded in part by the Government of Canada’s Foreign Credential Recognition Program. As a Technical Consultant at Delphi, Hari is as a specialist in the calculation and quantification of greenhouse gases and other emissions for Delphi’s clients. In this role, Hari provides technical, research and analytical support to all projects and proposals, and to all levels of management in the company. Prior to joining Delphi, Hari spent over 5 years as an environmental consultant in Oman where he worked on Upstream and Downstream Oil & Gas and other heavy industry projects including audits, LDAR, impact assessments and pollution control techniques. Hari has a Master’s degree in Environment and Sustainable Technology from the University of Manchester, School of Chemical Engineering and Analytical Science, a Bachelor’s degree in Mechanical Engineering, and is a certified Indo–Pacific Eco Diver. Hari moved to Canada in September 2017 as a Permanent Resident and participated in ECO Canada’s Environmental Immigrant Bridging Program.